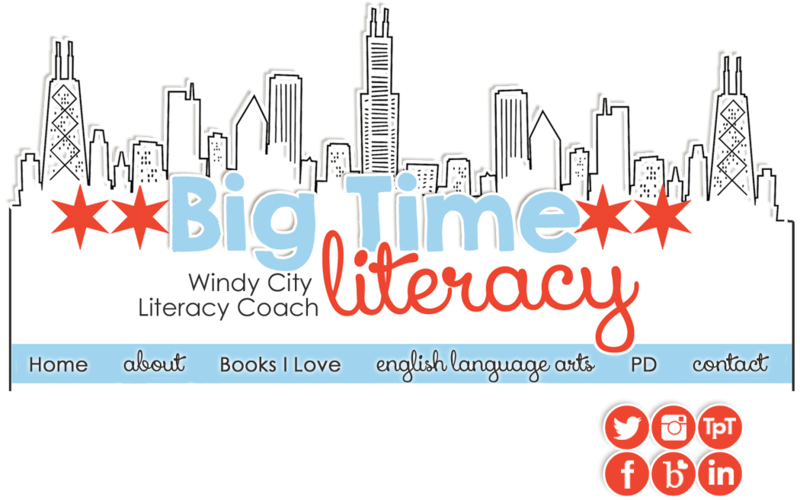 Hi everyone and welcome to BigTime Literacy! 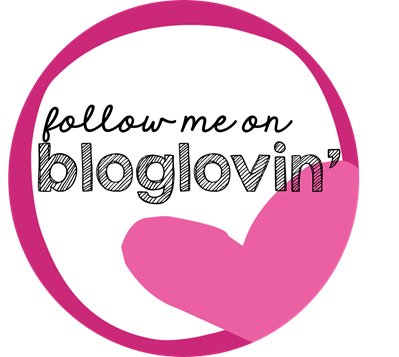 I'm Michelle and I'm so excited to be a part of this blog hop! If you've jumped around some of the other sites, you can see that we've got tons of great ideas to share. 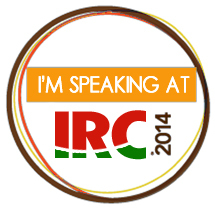 I wanted to share some information about critical literacy with you today...I just know you're going to love it! Pablo Freire is a big name behind critical literacy. The cliff's notes version of it is that it is literacy that is focused on challenging injustice and inequality in society. The researchers and teachers who subscribe to this kind of teaching believe that language should be a means for social action and teachers should bring social inequalities to light with their students in the hopes of doing something to make the world a better place. So, in addition to students learning to read and write to take care of their daily business, they are also taught to use literacy to make themselves agents of social change. Studying Upstanders (people who stand up for others), and also identifying the victims, perpetrators, and bystanders in such situations. Reading stories about real life kids who stood up to others or made a change in their community. This book is awesome for these kinds of stories: It's Our World Too: Young People Who are Making a Difference. 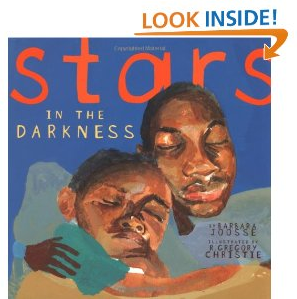 Writing fictional picture books that focus on an issue of social justice and having the character in the book do something to make a difference in the lives of others. Studying the Holocaust through Book Clubs - including having conversation and building background about this time period. We also visited Chicago's Holocaust Museum! Writing essays about famous Upstanders, such as Rosa Parks, Cesar Chavez, Martin Luther King, Jr., Anne Frank, Mother Teresa, Nelson Mandela, etc. Watching movies where young people take action to make change: Freedom Writers and Walkout, in particular. The culminating event: Choosing a cause to research (and write a report on) and then also making a difference some how - through raising awareness, raising money, or volunteering. The kids in my eighth grade class loved this curriculum - our focus for everything always went back to, "You can change the world," and they always remembered their projects, coming back to ask if I still did this project with students after they left. 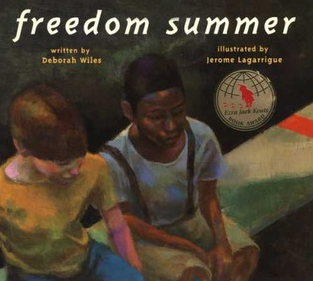 This was a whole year's worth of curriculum, but if you wanted to start integrating critical literacy in your curriculum, you could start with picture books - read them aloud to students and having class conversations about them. Then, if you wanted, your class could research and come up with an action plan to make positive change in your community! 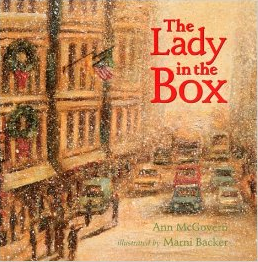 In this story, two children begin to help a homeless woman on their block by leaving food and clothing for her. When their mom finally finds out what they are up to, she shows them how they can give back to their community even more. In this story, a young brother wonders why his big brother doesn't come home at night, until he sees the bandages and blood on his arms and, "knows what he knows." 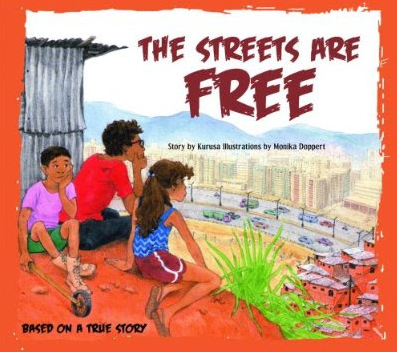 Little brother and his mama decide they must do something to keep their streets safe, so with the help of their community, they do so. This picture book is based on a true story from San Jose de Urbina, Venezuela. This story centers around children living in this area during the 1950's, when many people moved into this area, leaving the children with no space to play. So, they decide they will talk to the Mayor about making space for a park. He doesn't exactly get moving with their project, but when reelection time rolls around, he has a ribbon cutting ceremony at the location of the future park, giving the children hope that their park will soon come to be. Read to find out if they get their park and how their voices made an impact on their daily lives! Those are just a few of a long list of books that will get the kids in your class having discussions about power: who has it, who doesn't, and questions about why. For a longer list of books, check out this site that I came across on Twitter this week (thanks @traceyhabla!) 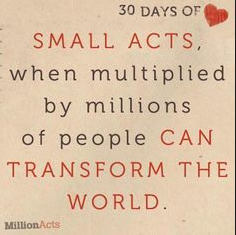 Hopefully by sharing these stories with our students, we can begin to dialog about our world, and help our students see the power that they possess to make it a better place! Have you taught with social justice in mind? What are your favorite books? I'd love to add them to my collection...be sure to leave me a comment with titles! 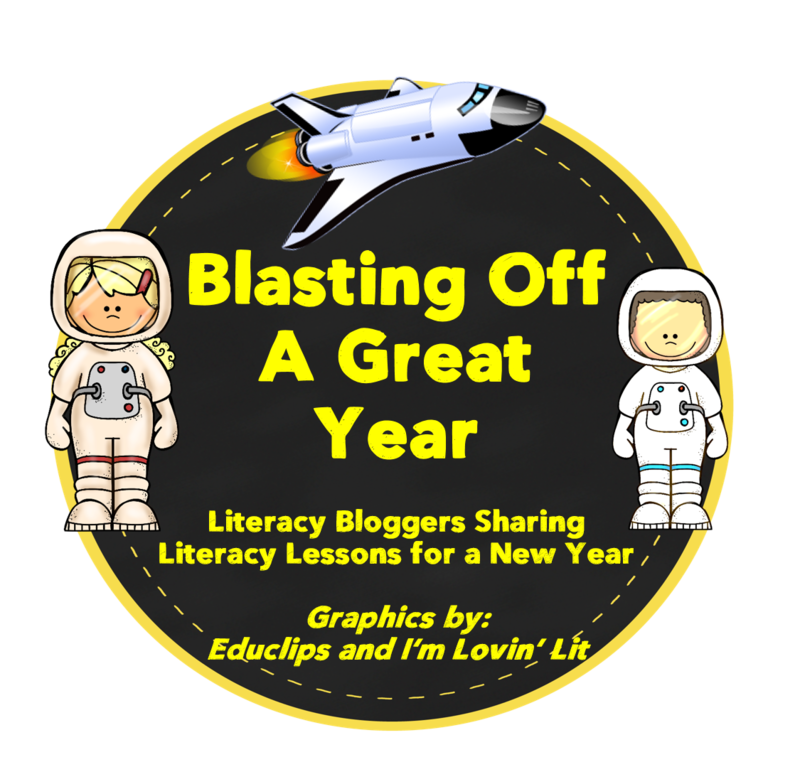 And now it's time to blast off to the next site on our hop - You'll be visiting my friend Wendy at Read with Me, ABC and she's going to share how to set up Interactive Notebooks for your readers. Enjoy her post and thanks for stopping by! Michelle-Have you read Each Kindness by Jaqueline Woodson or used Patricia Polacco's book, Bully or Junkyard Wonders? I think they have themes of social justice too. Great post! I love this idea! 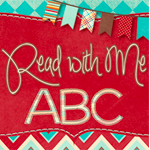 I have a few books that I like to read with my grades 3-5 students that are similar. One of my favorites was a book called "Boxes for Katje". It's so important for them to learn how to be more outward focused! I really appreciate all of the great books that you have shared!! 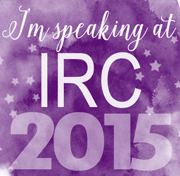 I will be sure to check them out and share them with my students this year! What a great set of books to tackle some tough topics! Students need to know that the power to change things lies with them! LOVE this post. Change starts with us. Each Kindness is a powerful book for young readers. I highly recommend it. five for friday - and it's on time! fashionably late to the Currently party!